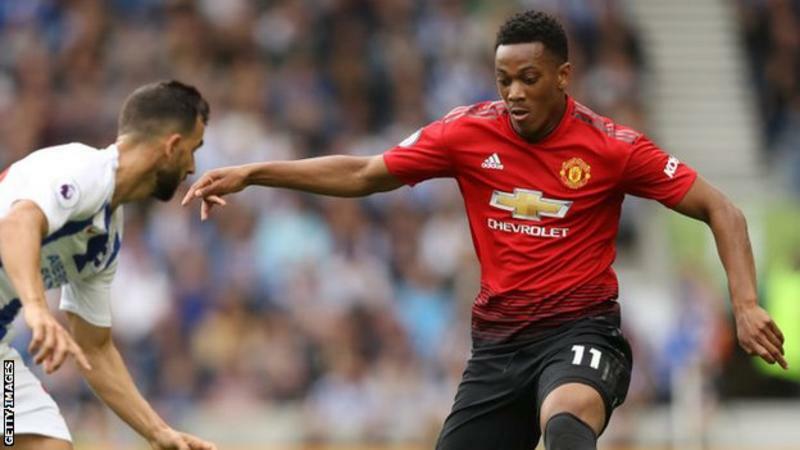 The Seagulls, who beat Jose Mourinho's side at the Amex Stadium in May to retain their top-flight status, stunned their visitors by scoring three goals in the first half. Romelu Lukaku halved the deficit 11 minutes before the break, rising unmarked to nod in Luke Shaw's ball, but Pascal Gross converted a penalty after a foul by Eric Bailly. Pogba also scored from the spot - deep in second-half stoppage time - but it was not enough to deny Brighton a famous win. "The attitude that we had was not like we wanted to beat them. They had more anger than us and that showed on the pitch," Pogba told Sky Sports. "I put myself first. My attitude wasn't right enough. We'll keep trying and keep pushing and obviously it's a lesson for us." Mourinho said he would not blame individuals, despite admitting his side made "incredible mistakes". "We were punished by the mistakes we made," he said. "For me that's the story of the game. "We made incredible mistakes in some crucial moments. Mistakes that killed us." Mourinho warned in the summer that his side faced "a difficult season" if they did not strengthen before the transfer window closed. He had highlighted his team's defence as an area that needed bolstering, but deadline day passed without any new arrivals. 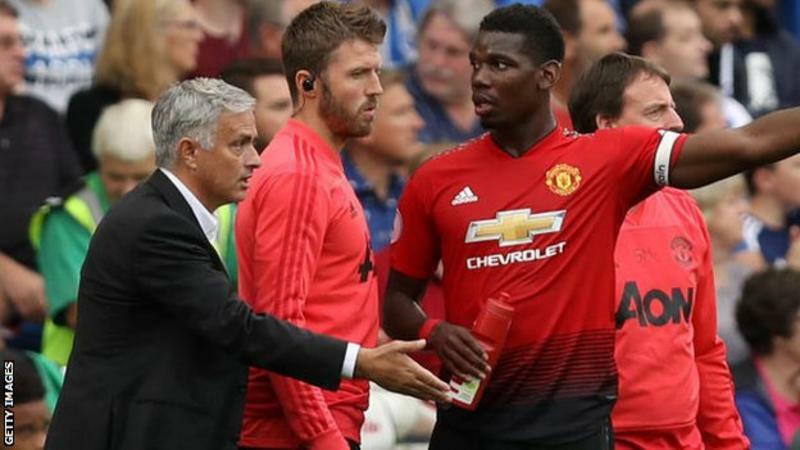 Mourinho's concerns were laid bare here, with his defence caught out on a number of occasions by Brighton's quick movement. Bailly and centre-back partner Victor Lindelof - both Mourinho signings - have now been a part of a defence that has conceded four goals in the first two games of the season. It took United nine to let in that many last season. 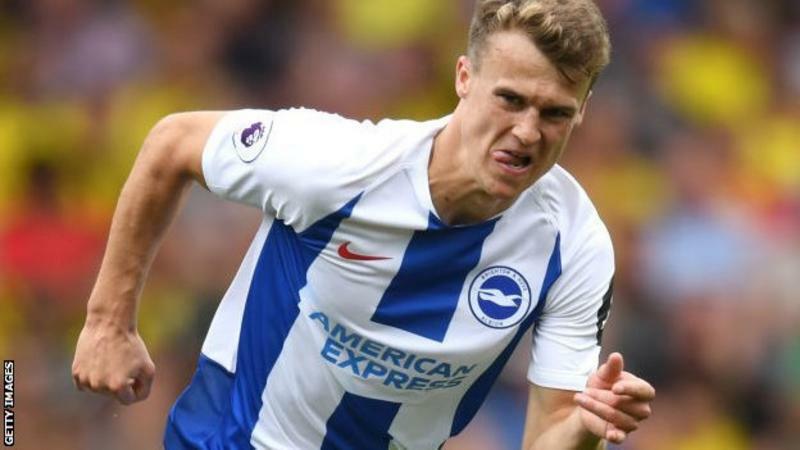 Brighton's home form played a huge part in their survival last season, with 29 of their 40 points secured at the Amex Stadium. Brighton did not have a shot after the break, but they did not need to as they changed tack from attack to containment. In the end it was a comfortable afternoon for Chris Hughton's side. "I thought we were very good. It was a victory we deserved," said Hughton. "There's not a player that didn't play well. To get that result with the quality they have you have to put in a good performance." Alexis Sanchez was a surprise absentee from United's starting XI, with Mourinho confirming before kick-off that the forward was injured. Twenty three of Murray's 24 goals in the Premier League have been scored from inside the box, including 100% of those scored for Brighton in the competition (13/13). Gross has scored eight goals in the Premier League, with all eight at home. Only two players have netted more goals exclusively at home in the competition's history - Georginio Wijnaldum (18) and Clive Wilson (nine). Pogba ended on the losing side in a Premier League game he scored in for the first time - prior to today, United had won each of the previous 11 games he had netted in, which was a joint-record in the competition (with Ryan Babel for Liverpool). This was only the 10th time in Premier League history that United conceded three first-half goals in a game, and the first time since October 2015 against Arsenal. Can Toure spoil Aduana’s party?